Scenic Cruises has commissioned construction of a seventh new riverboat, dubbed “Space Ships,” that will enter service in 2013. The new Scenic Jewel will cruise next year on the Rhine, Main and Danube rivers from Amsterdam to Budapest. Scenic just launched the Scenic Crystal in April. Focused on building and launching the finest fleet on Europe’s waterways, the Space Ships offer luxury suites with private full-size balconies. Scenic Crystal introduced what is called “Sun Lounge,” a system that allows guests to close in the balcony with remote-activated, hydraulic-sealed glass window, so the space can be used in inclement weather. Moroney said that system will be retro-fitted to the rest of the fleet (except Scenic Emerald) for 2013. Scenic Jewel will also include a “silent drive” system, which reduces noise and vibration. Scenic Cruises European river cruises feature all meals, complimentary beverages during meals, butler service on select decks, shore excursions, airport transfers, tipping and gratuities. 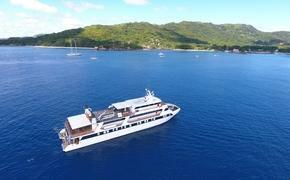 Its fleet sails seven- to 21-night river voyages throughout Europe, Russia and Egypt.